If you would like to become a dental assistant, you might be wondering what type of dental assisting schools you should look into. 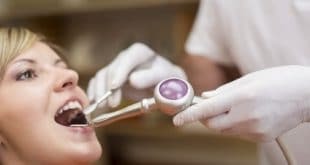 But before we get into that, let’s first go over a dental assistant’s duties so you know what to expect when working in this field. Clinical – These duties can depend on employer, education, and state guidelines. Dental assistants spend much of their time helping dentists chairside by handing them dental tools and suctioning patients’ mouths to keep them clear and dry. They may also take x-rays, remove sutures, sterilize instruments, pour and trim models, and prepare materials to make impressions and restorations. Administrative – During their career, dental assistants are likely to answer the telephone, process insurance claims, file patient records, and confirm appointments. The first thing you must do is earn a high school diploma or GED. Once that’s accomplished, you can enroll in a dental assistant program accredited by the Commission on Dental Accreditation of the American Dental Association. Otherwise, you cannot to sit for the Certified Dental Assistant exam that thirty-eight states require for employment. There are over 270 such programs throughout the Untied States. How long does it take to complete the program? It’s usually about nine months to two years depending on if students earn a certificate, diploma, or associate degree. What is the student-teacher ratio? Programs with smaller class sizes tend to have more hands-on activities available to students. Is there a good balance between lecture courses and hands-on-training? What is the success rate of graduates? Is there an externship opportunity after all courses are completed? What type of preparation is there for the Certified Dental Assistant exam administered by the Dental Assisting National Board? Is financial aid such as grants and scholarships available? Some schools require students to take prerequisite courses such as biology, chemistry, and health before being accepted into the dental assistant program. Anatomy and Physiology – It’s possible this could be one of your prerequisite courses. It gives a basic overview of the anatomy of the human body. Clinical Chairside – Learn procedures and techniques used when assisting the dentist during an examination or procedure. Dental Anatomy – The study of human tooth structures including appearance, classification, and development. First Aid and CPR – This course gives students a basic understanding of first aid and CPR in order to prepare them for an emergency during patient care. CPR certification is required before you can sit for the Certified Dental Assistant exam. Human Relations – This course explains about the business side of a dental practice. Infection Control – Learn how to fight and prevent infection in patients as well as how to keep a dental practice sterile and how to treat infections with different antibiotics. Laboratory Procedures – This course teaches students general procedure for dentures, prosthedontics, and other tooth replacement procedures. Psychology and the Special Patient – Students learn how to handle patient psychology by keeping them calm and relaxed during their exam. Specialties – Discover the different dental specialties including pediatric dentistry and endodontics. If you would like to learn more about dental assistant schools, don’t hesitate to contact us. We’ll gladly answer your questions. Next What Does an Ultrasound Technician Do?